If you follow me on Instagram, you know that I spend half of September in Europe with my friend, Amanda (kevinandamanda.com). 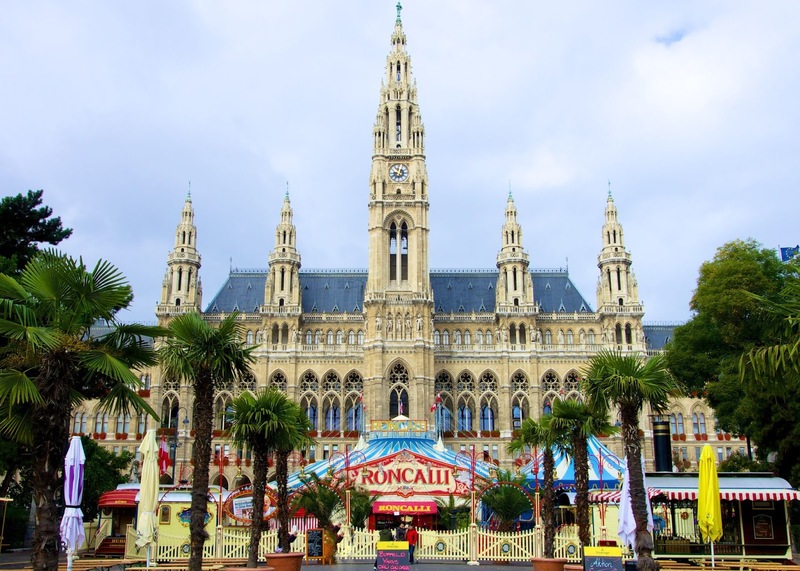 We spent 4 nights in Budapest, went on a Danube River cruise with Gate 1 Travel and finished the trip in Munich. 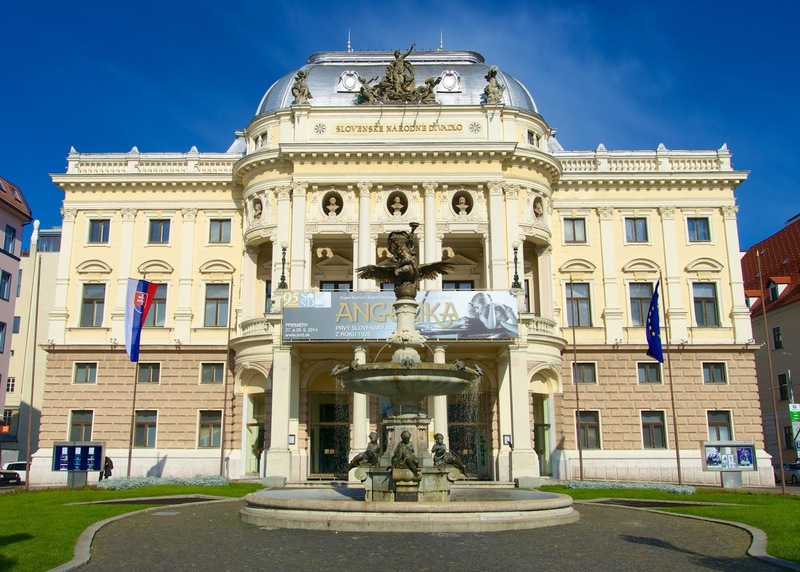 You can read my post on Budapest here, and make sure to check out Amanda's recaps here. We spent 7 nights on the river cruise. We were out and about exploring for 6 days. This was my first time on a cruise of any type. I wasn't really sure what to expect, but I liked it. I really liked being able to go to lots of different places and have my hotel room go with me. I've broken down my recap into two posts. Today I'm going to tell you about the first three days of the cruise. 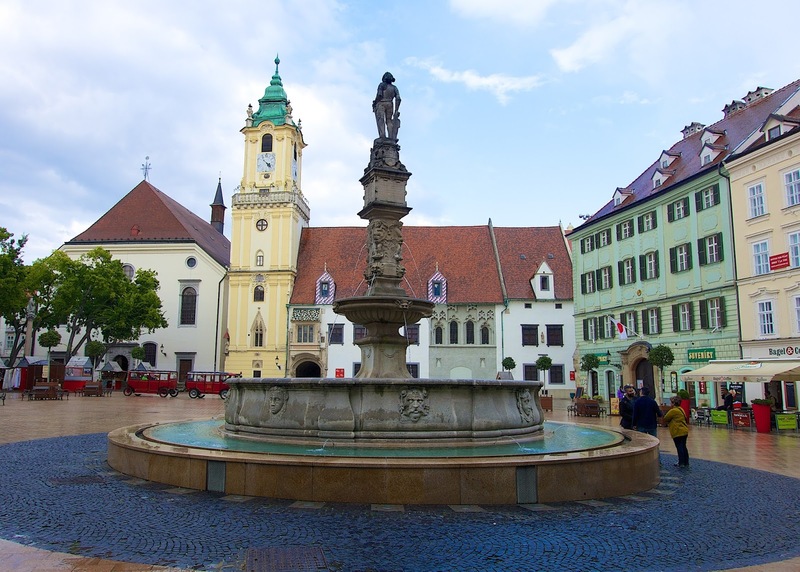 We went to Bratislava, Vienna, Durnstein, Wachau and Melk. They were some of the most beautiful cities I've ever seen. Most places looked like a post card. 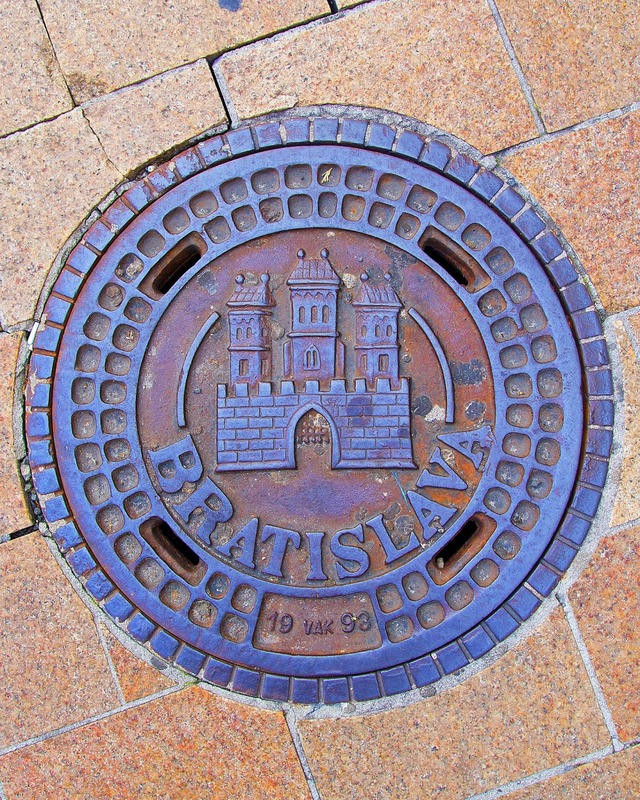 Our first stop was in Bratislava, Slovakia. 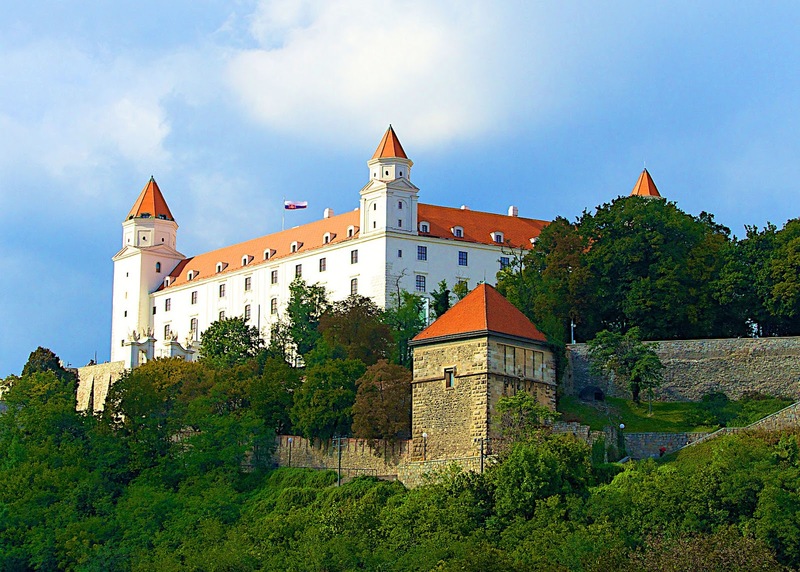 Bratislava Castle overlooks the city and the Danube River. 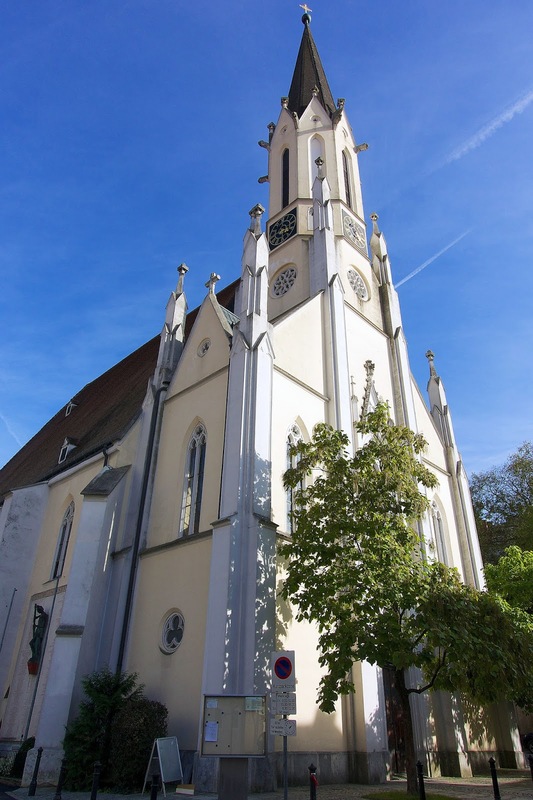 The Church of St. Elisabeth (The Blue Church) is not to be missed. It was built in 1907-1908. It is SO beautiful. The color is amazing! 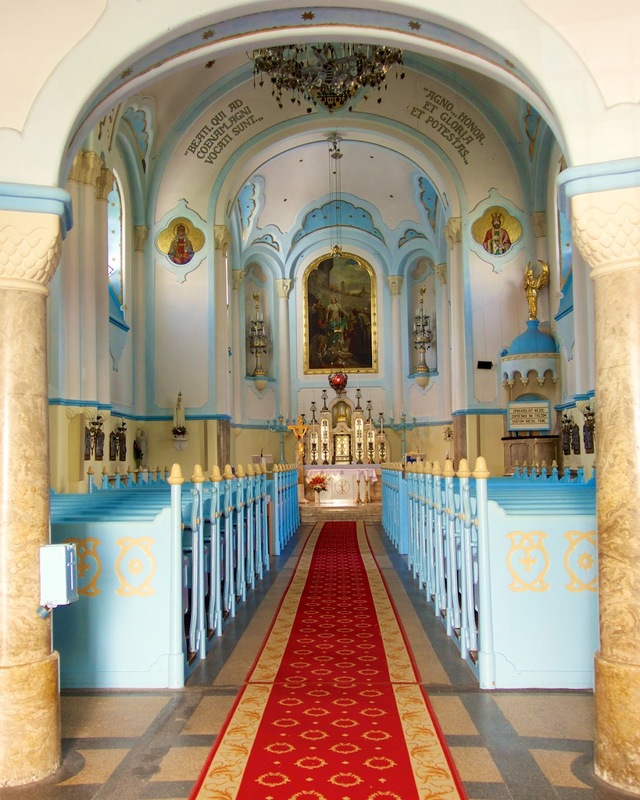 The inside of the church is a beautiful as the outside. Wouldn't you love to get married in here?!?!? 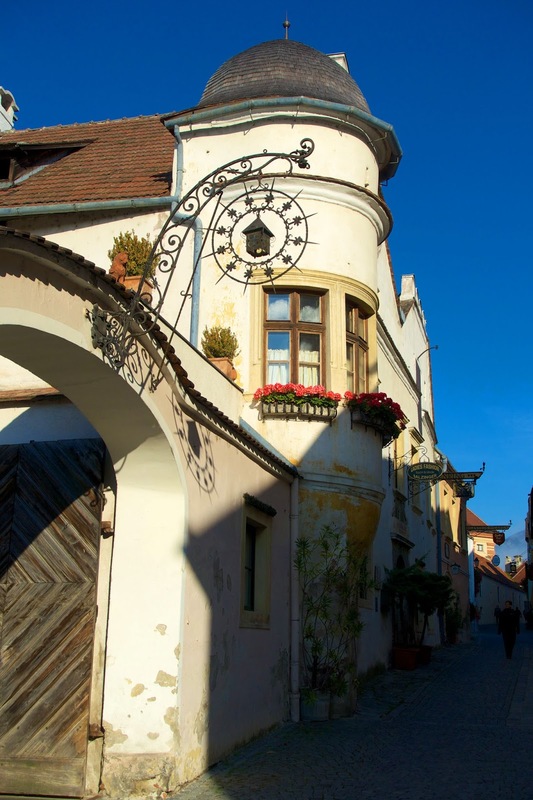 Primate's Palace in Old Town is the office for the mayor of Bratislava. It was built from 1777 - 1781. Don't you love the pink? 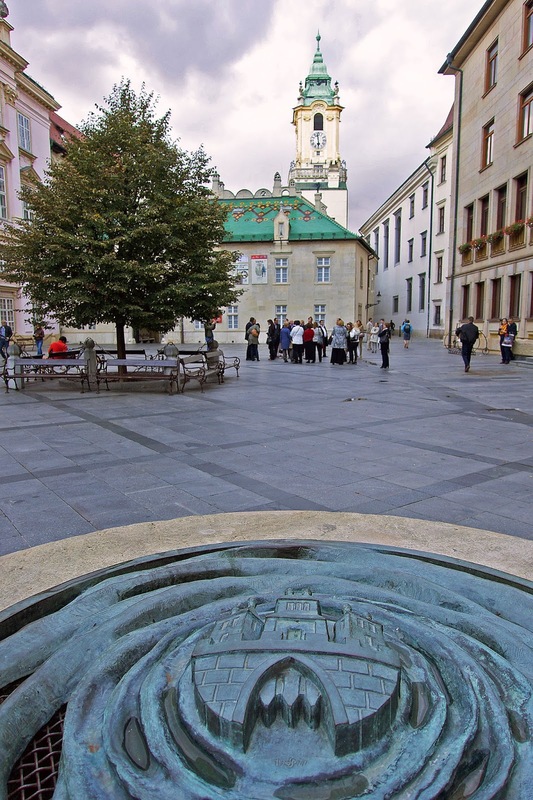 View of Old City Hall in Primate's Square. Old City Hall is the oldest city hall in the country. 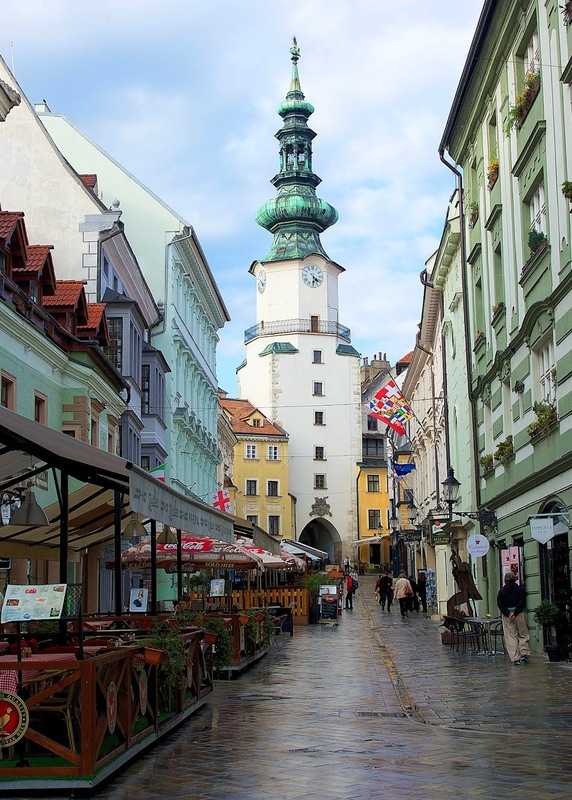 It is one of the oldest stone buildings still standing in Bratislava, with the tower being built approximately in 1370. Old City Hall from the main city square. 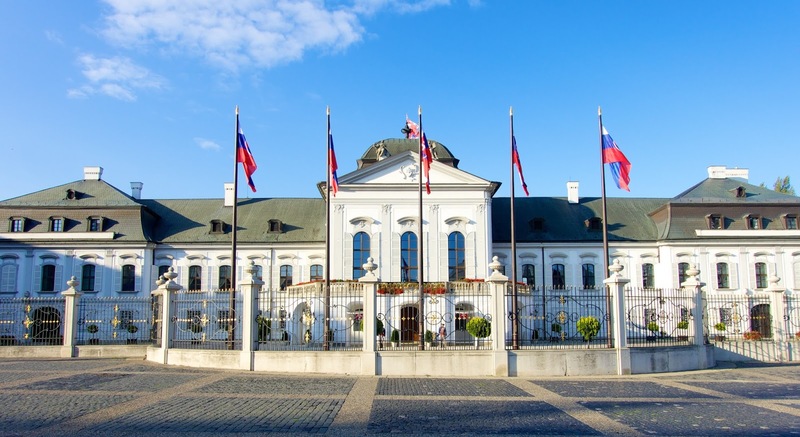 Grassalkovich Palace is the residence of the Slovakian President. The palace was built in 1760. 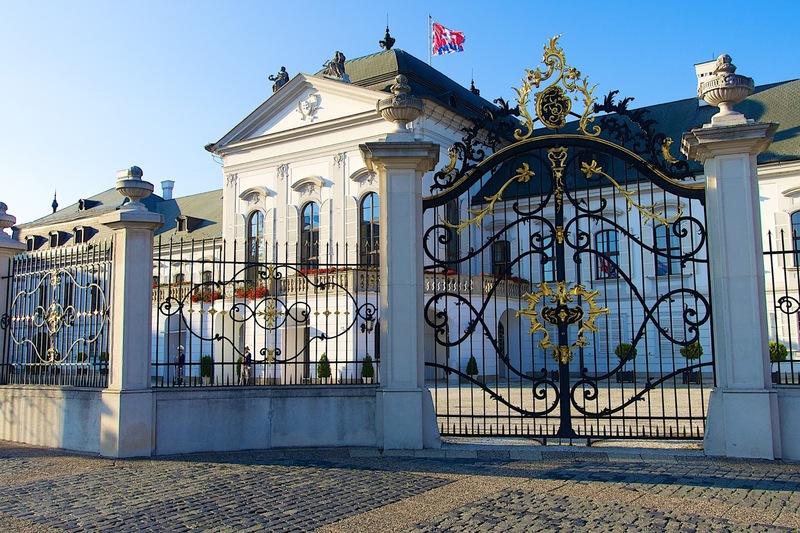 It became the residence for the President of Slovakia in 1996. The palace is very grand and has very ornate gates surrounding it. There are also two guards standing outside the main door at attention all day. 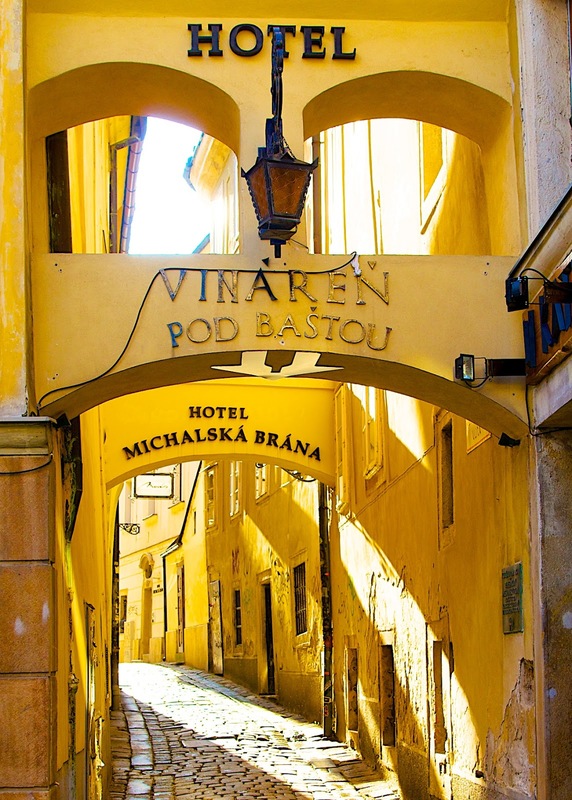 St. Michael's Gate is the only city gate that has been preserved from the medieval fortifications and ranks among the oldest town buildings. 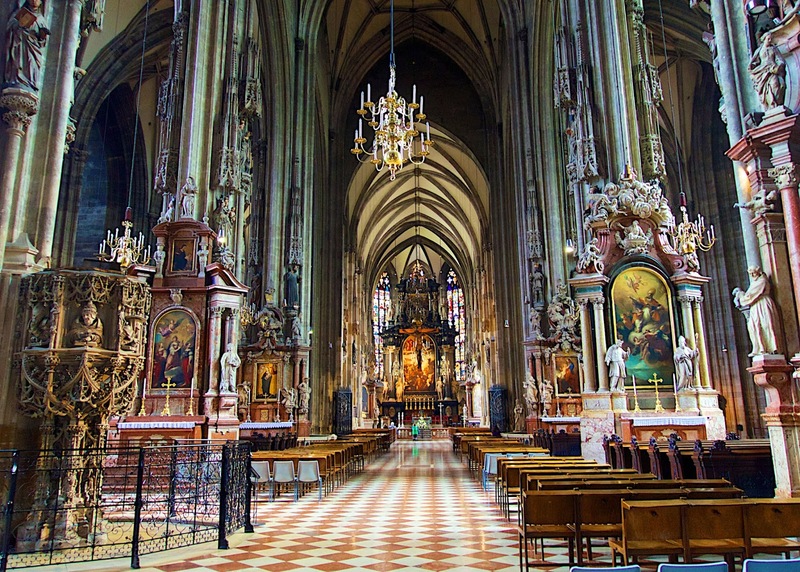 Built around 1300, its present shape is the result of baroque reconstructions in 1758, when the statue of St. Michael and the Dragon was placed on its top. The tower houses the Exhibition of Weapons of Bratislava City Museum. 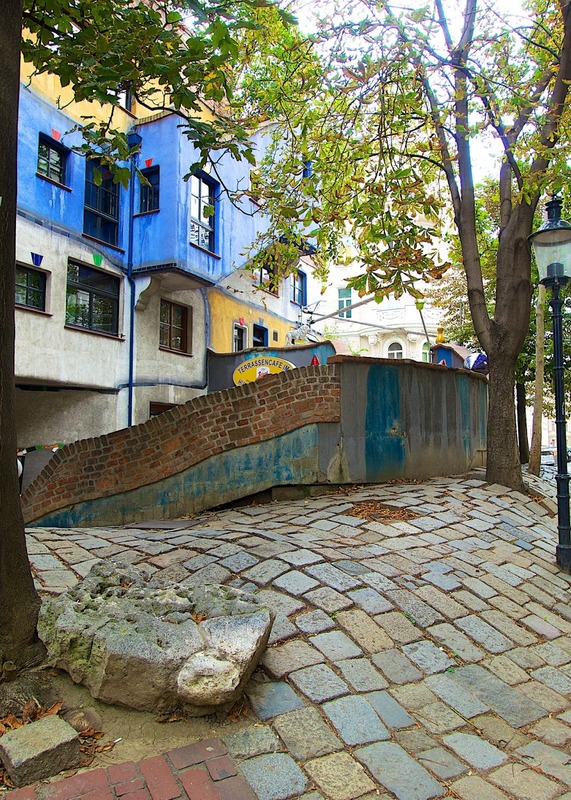 We had so much fun exploring Bratislava. 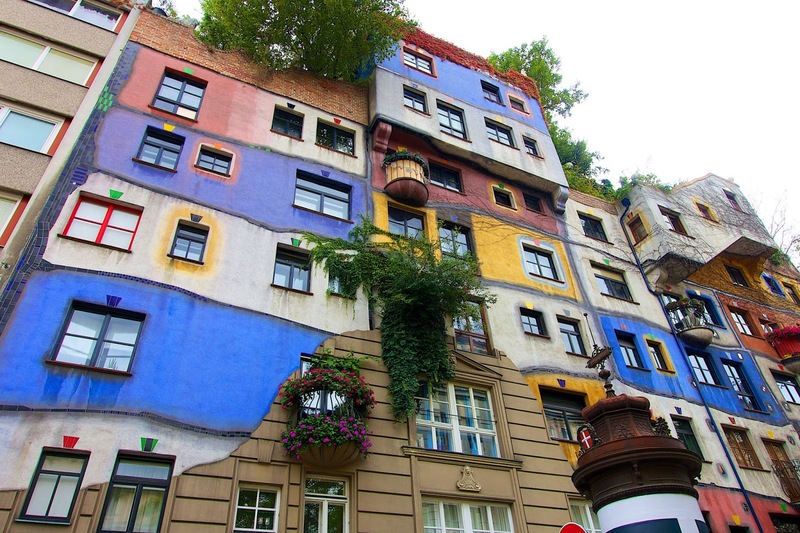 We loved all the colorful buildings. 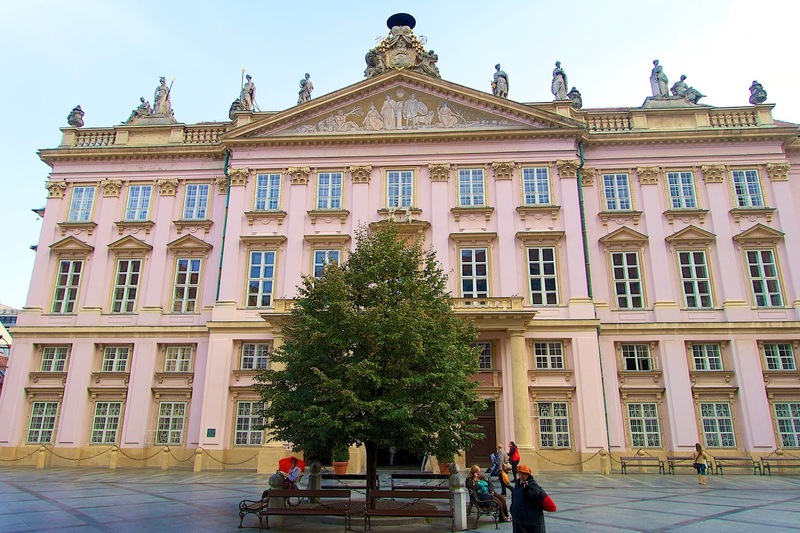 This pink house was one of our favorites! Day two started with an early morning bus tour of Vienna. We got a quick tour of the city and we went exploring on our own. 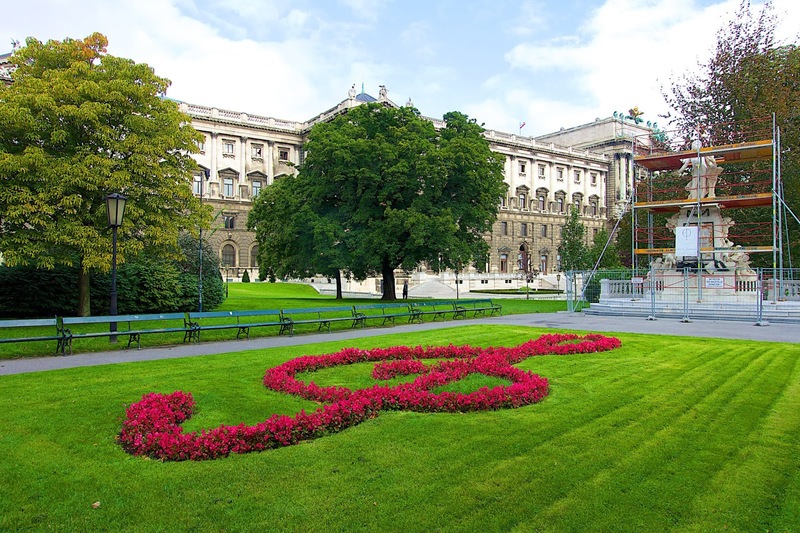 I loved the flowers planted in a treble clef shape. I wish the statue wasn't being renovated. Hopefully they will be done the next time I am here. It was held outside the Town Hall (Rathus). 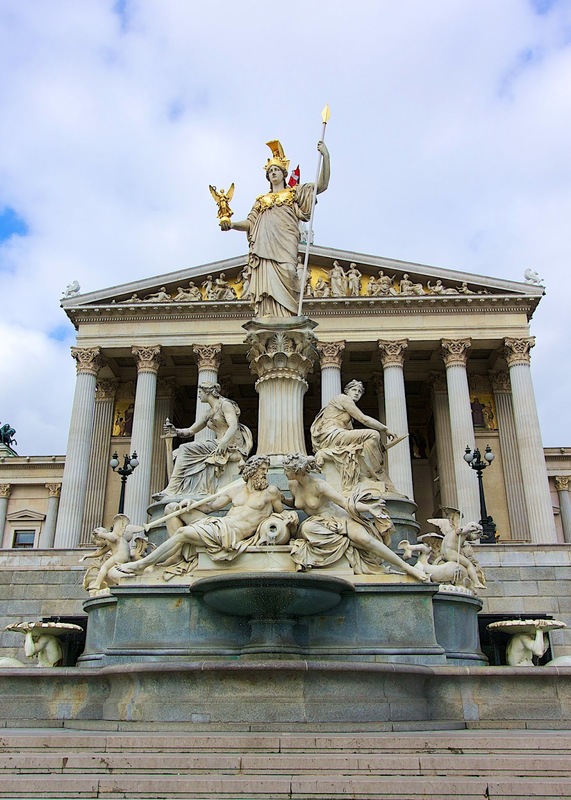 This is where the two houses of the Austrian Parliament conduct their sessions. 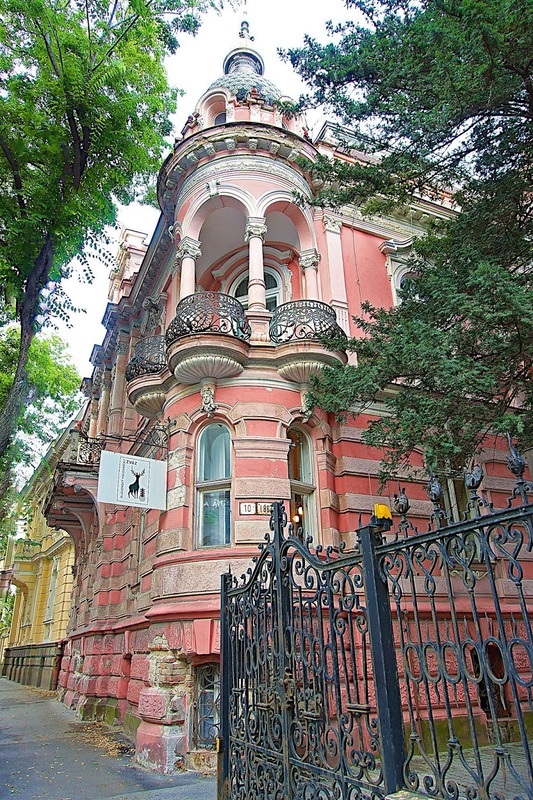 It was built between 1874 - 1883. I would love to go to church here every week. 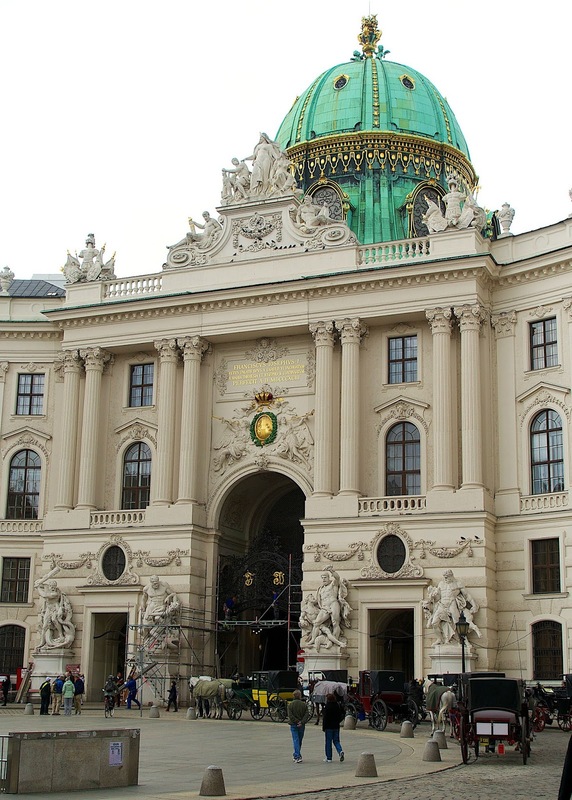 Hofburg Palace has housed some of the most powerful people in European and Austrian history, including the Habsburg dynasty. 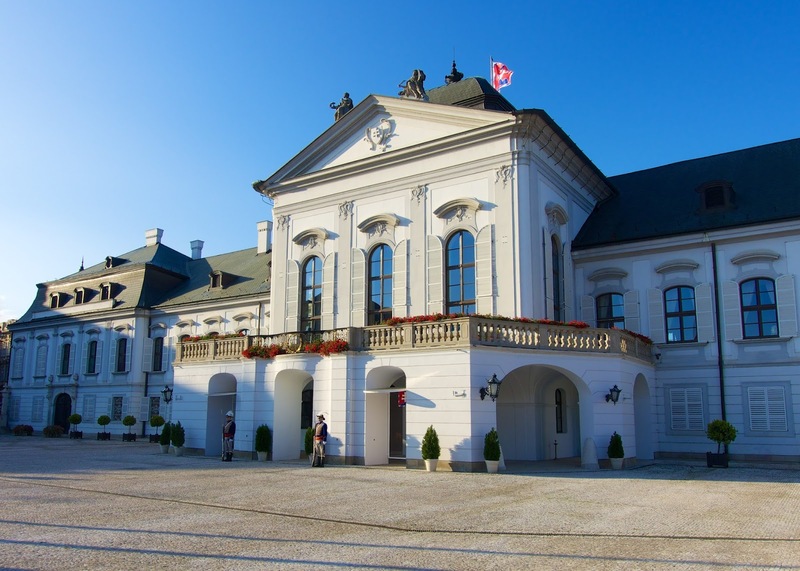 It currently serves as the official residence of the President of Austria. 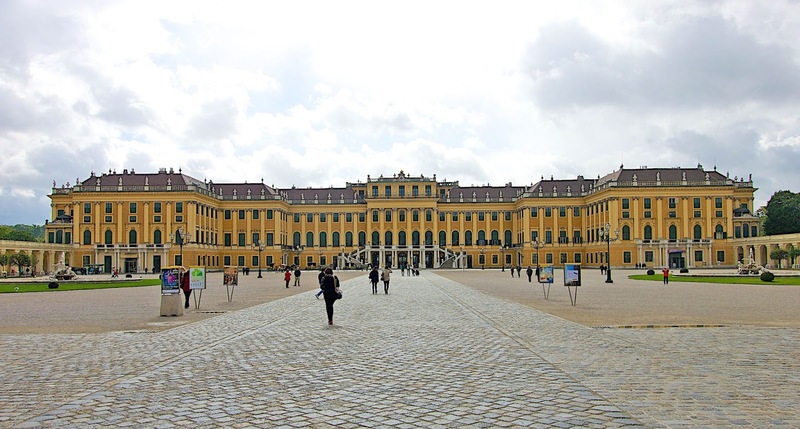 It was the Habsburgs' principal winter residence, as the Schönbrunn Palace was their preferred summer residence. We took a tour of Schönbrunn Palace. I have some pictures of it below. 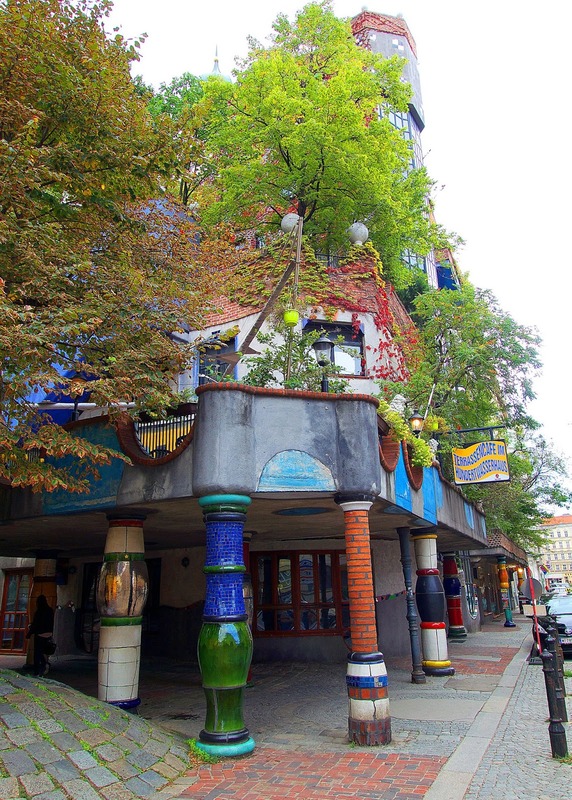 The house was built between 1983 and 1985 according to the ideas and concepts of Hundertwasser with architect Univ.-Prof. Joseph Krawina as a co-author and architect Peter Pelikan as a planner. 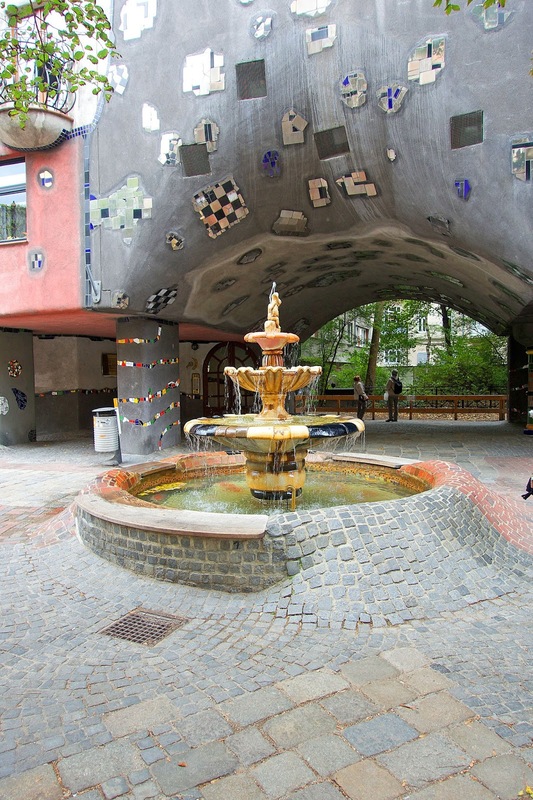 It features undulating floors, a roof covered with earth and grass, and large trees growing from inside the rooms, with limbs extending from windows. 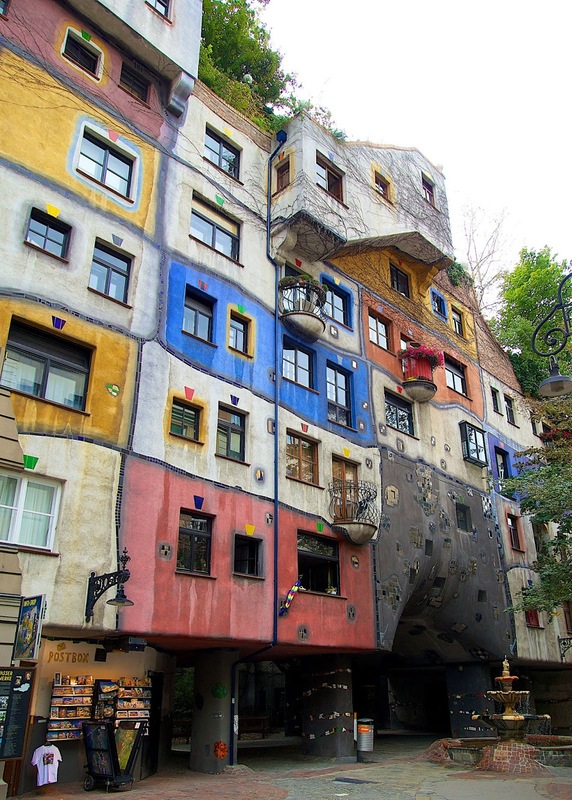 Hundertwasser took no payment for the design of the house, declaring that it was worth it, to prevent something ugly from going up in its place. Notice how the pavement is uneven. They said the walls and floors in the building are the same way. This is such a cool place. I can't imagine getting to live here. 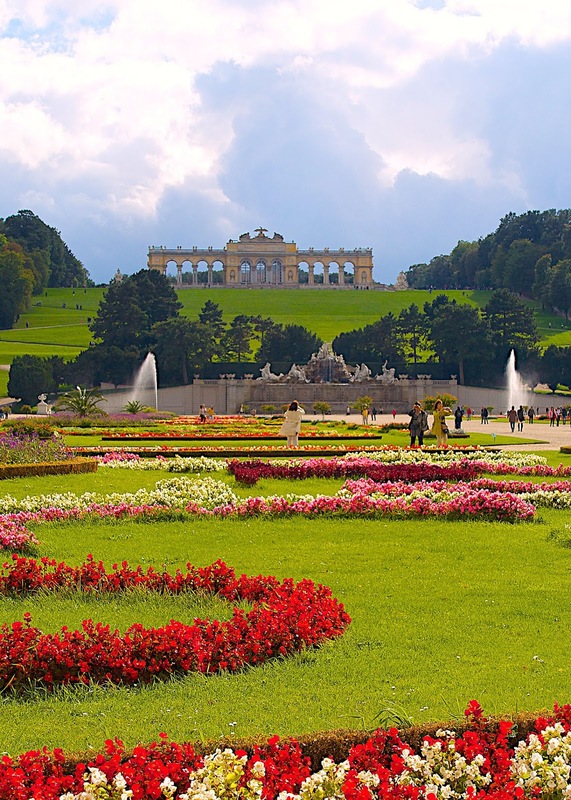 From the 18th century to 1918, Schönbrunn was the residence of the Habsburg emperors. Marie Antoinette lived here until 1770.
e also married a member of the Habsburg family, Marie Louise. Napoleon's only legitimate son's (Duke of Reichstadt) death mask is on display inside the place. 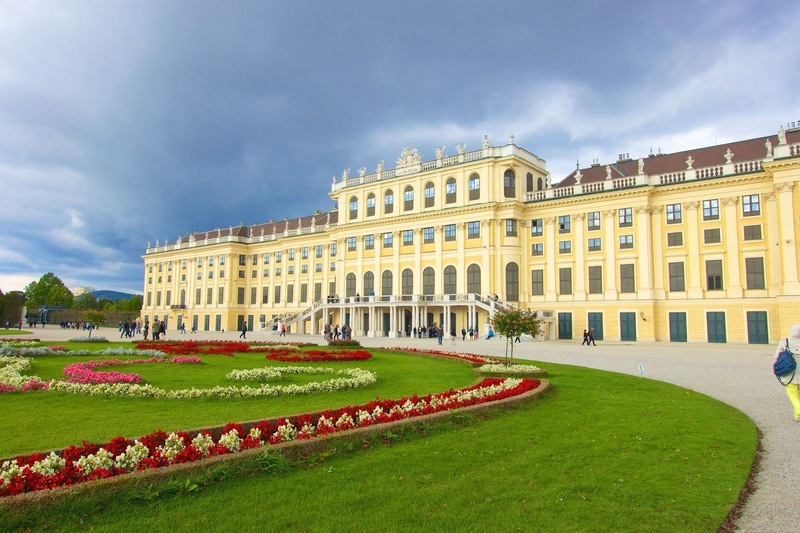 Schönbrunn Palace is also the site of the world’s first zoo - founded in 1752. We didn't have time to go to the zoo. I would definitely like to go since it is the world's first zoo. 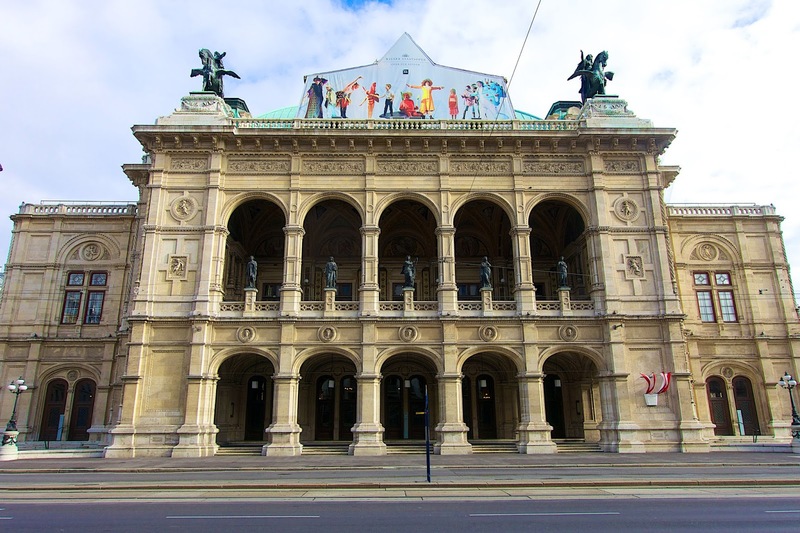 I wish we had more time in Vienna. There was so much more to see and do! We had to go back to the boat at 4:30, but we didn't set sail until 10:30. I wish we had been offered a later bus back to the boat so we could have explored more. I guess I just have to go back! We woke up in the picturesque town of Durnstein. 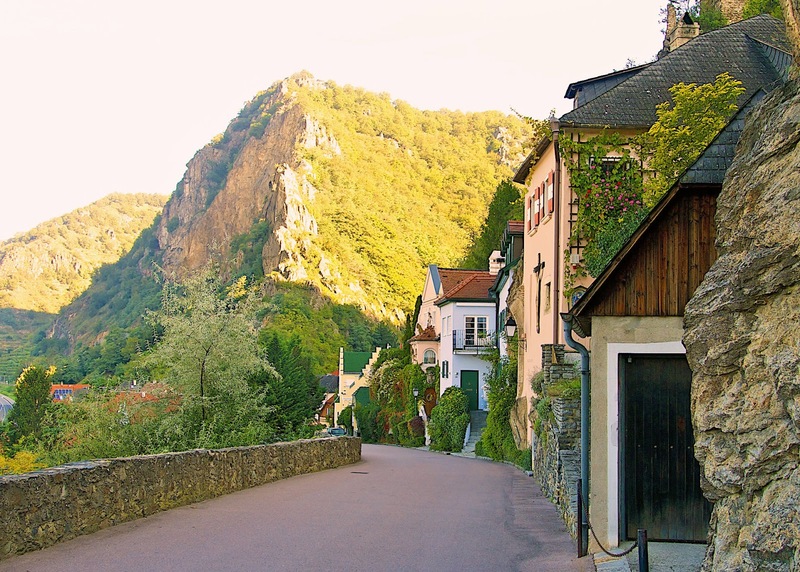 It is a tiny Austrian village. It has less than 1,000 residents. Parish Church was built between 1721-1725. It is so pretty! 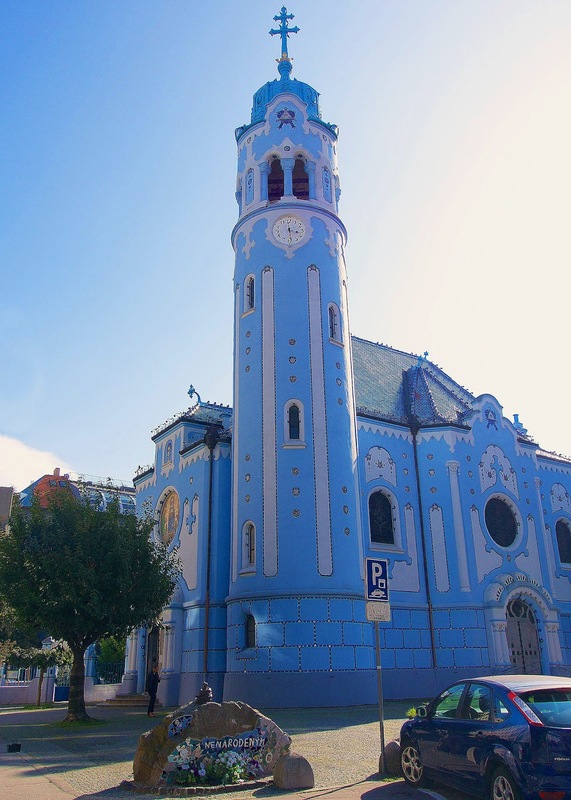 I love blue churches! 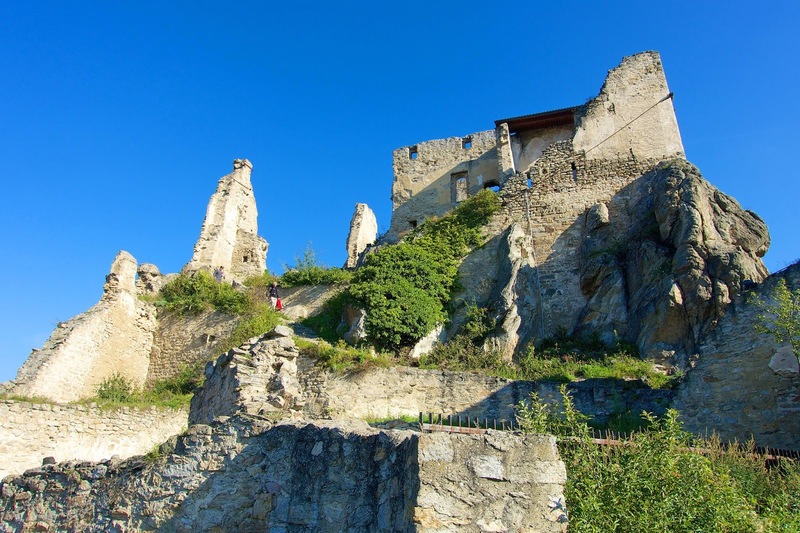 At the top of Dürnstein sits the ruins of the 12th century Dürnstein Castle. It is about a 30 minute hike. It is really steep. I was huffing and puffing, but it was worth the hike. In 1193 Richard the Lion-hearted was imprisoned here by Duke Leopold VI of Austria, with whom he had quarreled during the Third Crusade. The view from the castle was magnificent! If it hadn't been 9:00 in the morning, I would have loved to sampled some wine at the winery in town. 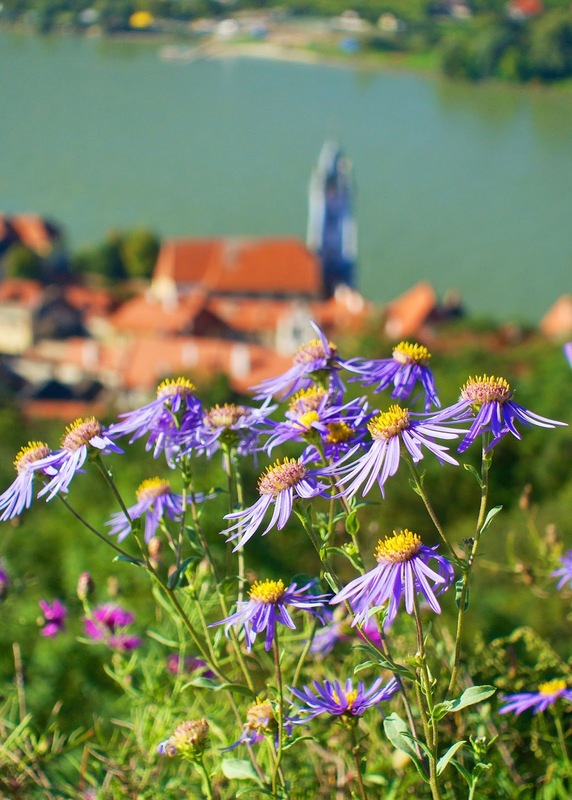 We boarded the boat and set sail down the Danube. I loved cruising during the day. 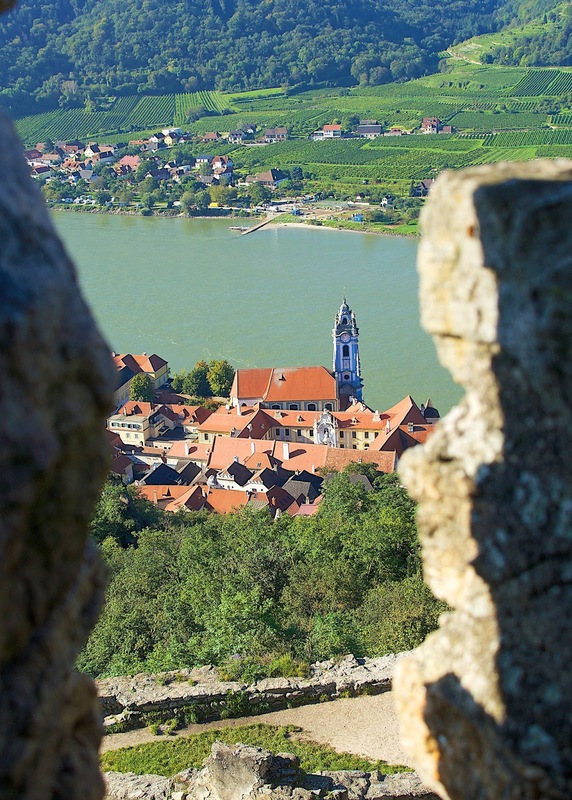 We had some great views of the Wachau valley. 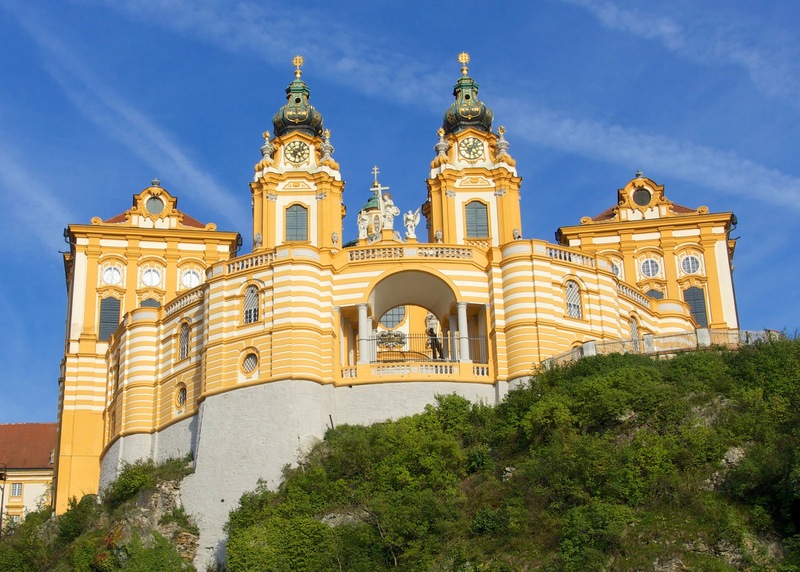 Our second stop the day was in Melk. We toured the Melk Abbey. 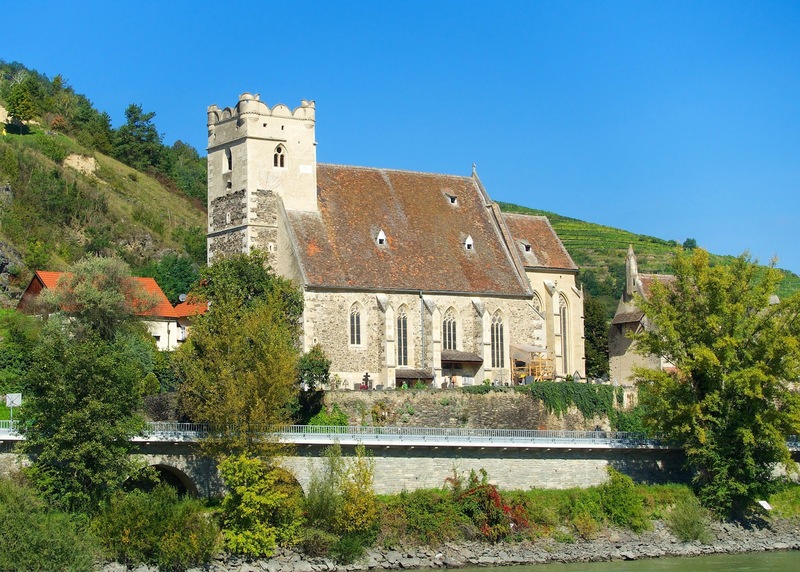 The abbey was founded in 1089 when Leopold II, gave one of his castles to Benedictine monks from Lambach Abbey. 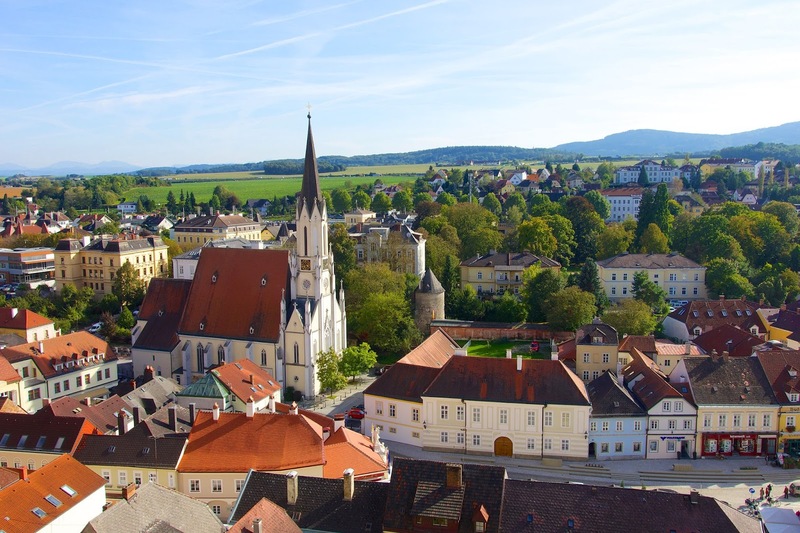 The abbey had great views of Melk. 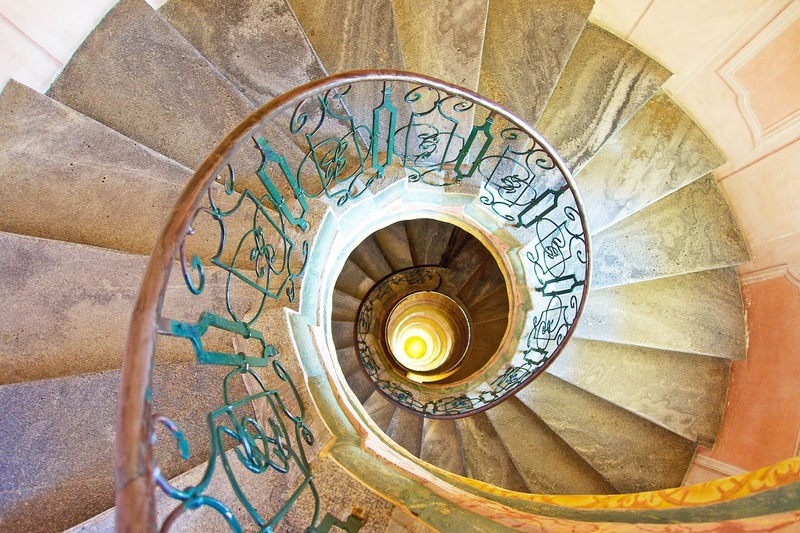 Looking down the stairway between the library and the church at the Melk Abbey. There are two skeletons inside the church. I researched to see if I could find out more about the skeletons. 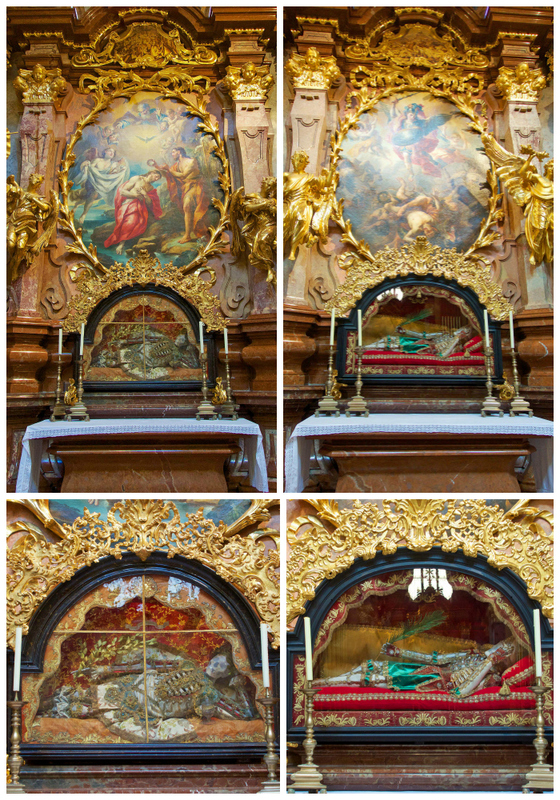 From what I could find, the skeletons are Saints Friedrich and Clemens at Melk Abbey in Austria. 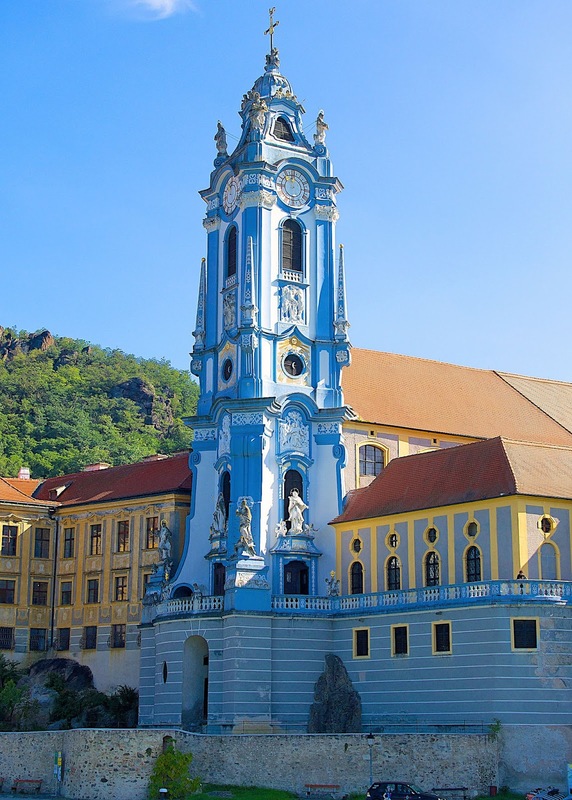 They were both gifts to the monastery, Friedrich being bequeathed by the Empress Maria Theresa. They are both supposedly Early Christian martyrs from Rome. Looking up at the staircase. I'm going to frame this one. Amazing! 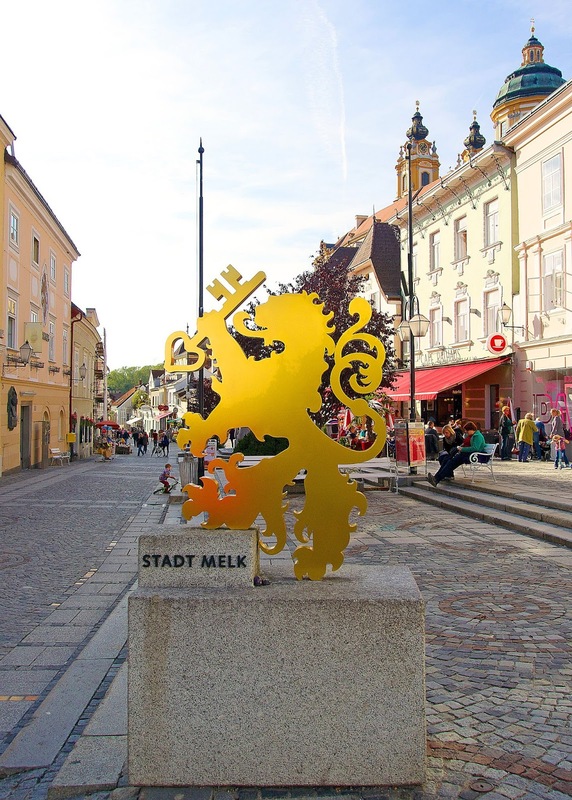 After we walked through the abbey, we walked down to the city of Melk. They had lots of cute shops and places to eat. The shops are mostly knick knacky shops, but they were fun to walk through. We headed back to the boat. We set sail to Regensburg at 5:30. Amanda and I stayed on the top deck to catch the sunset on the Danube. My friend, Katherine, was my official "Waterlouge" artist while I was on the trip. Here are the pictures from the first part of the river cruise. 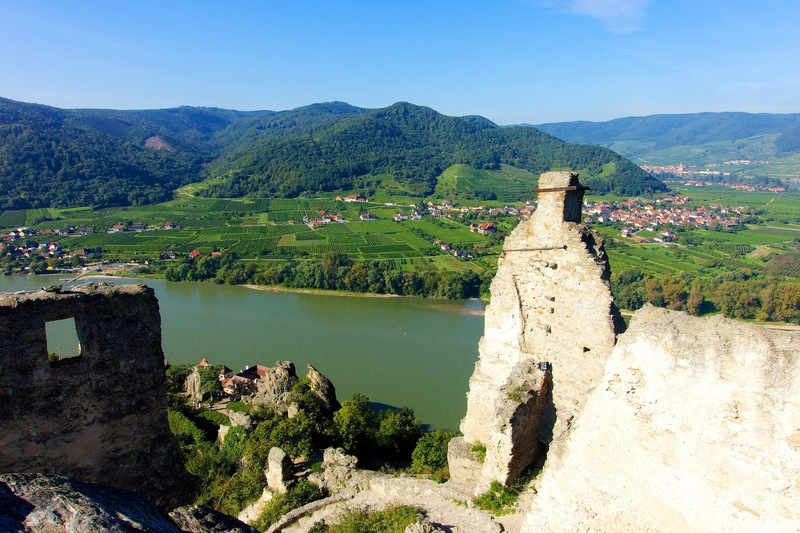 Stay tuned next week for the second half of the Danube River Cruise with Gate 1 Travel. 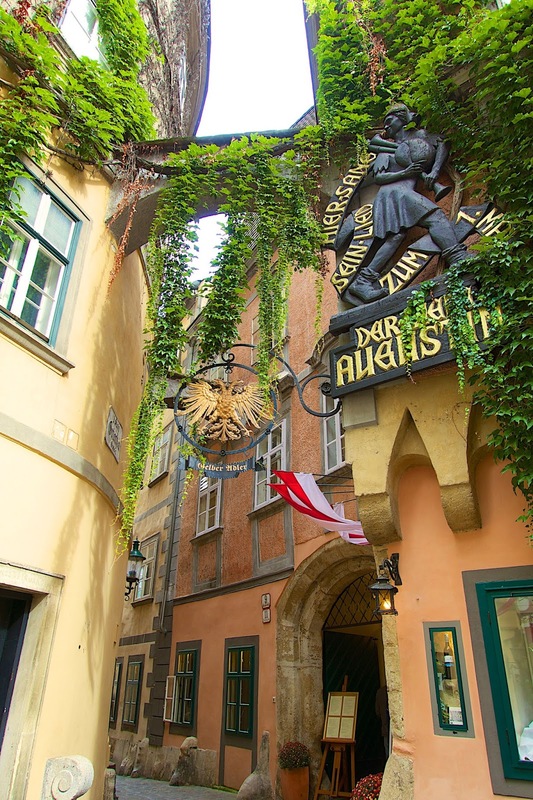 We went to Salzburg, Regensburg, and Nurnberg. Your photos are lovely! I have never been on a cruise, but would love to sometime! When you make it back to Austria make sure you take time to visit Salzburg. 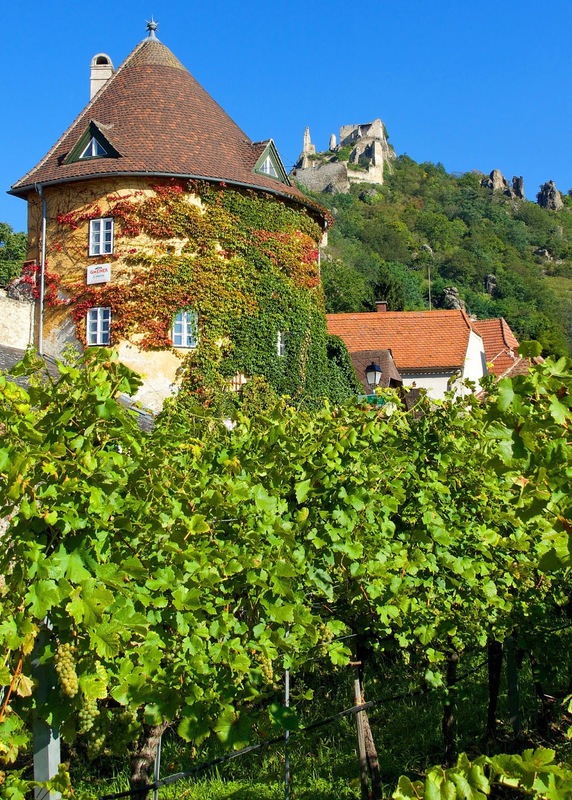 I was in Germany and Austria as part of a tour with my high school choir almost 20 years ago and I'm still trying to get back. 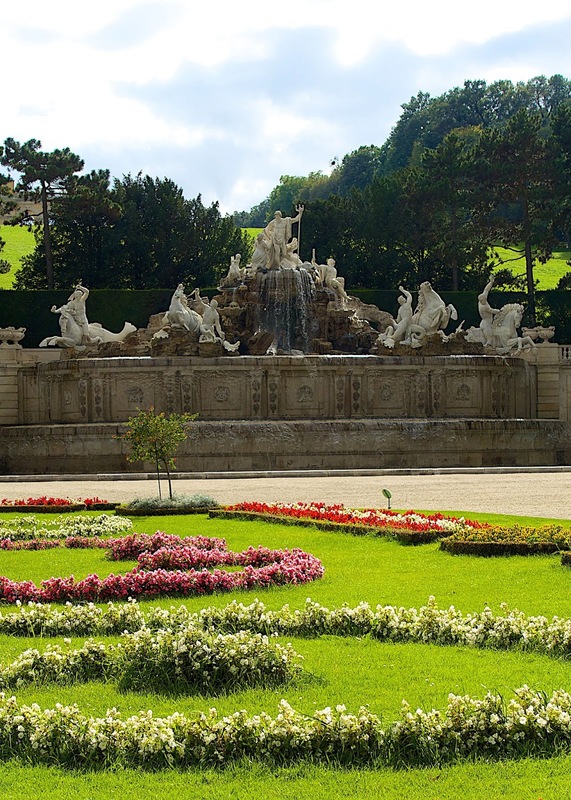 I loved going through the gardens at the palace in Vienna. If you looked at some of the statues they were very indecent. 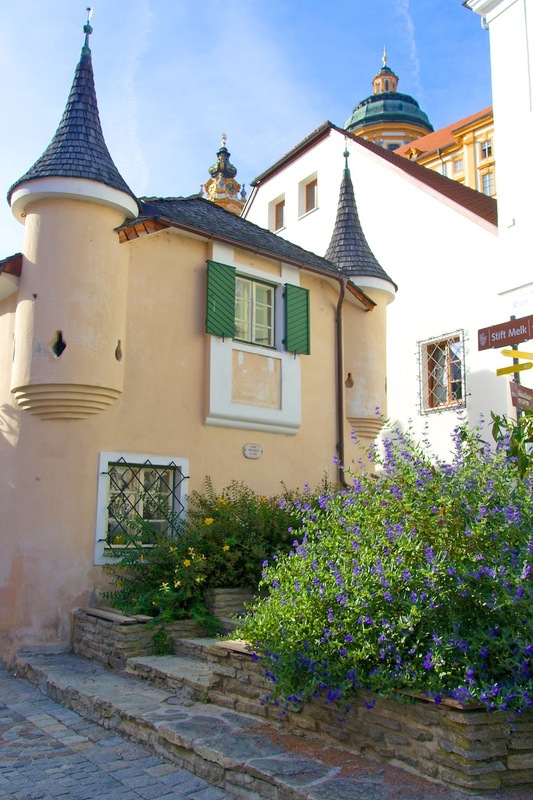 I think you'd love going through Old Town Salzburg. The churches are beautiful and so are the buildings. Did you have all your meals on the boat? I miss your food/restaurant recommendations. 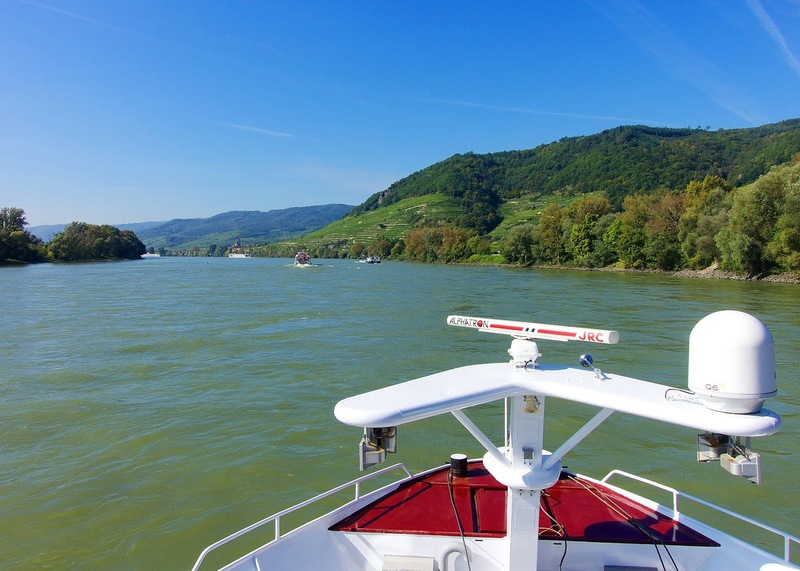 We did a River Cruise a few years ago on the Rhine River. Although it was a well planned trip, we felt cheated because we only had a few hours ashore and could not explore to our hearts content. We are now going back and doing our own trips and taking 2-3 days to learn the cities history/culture. 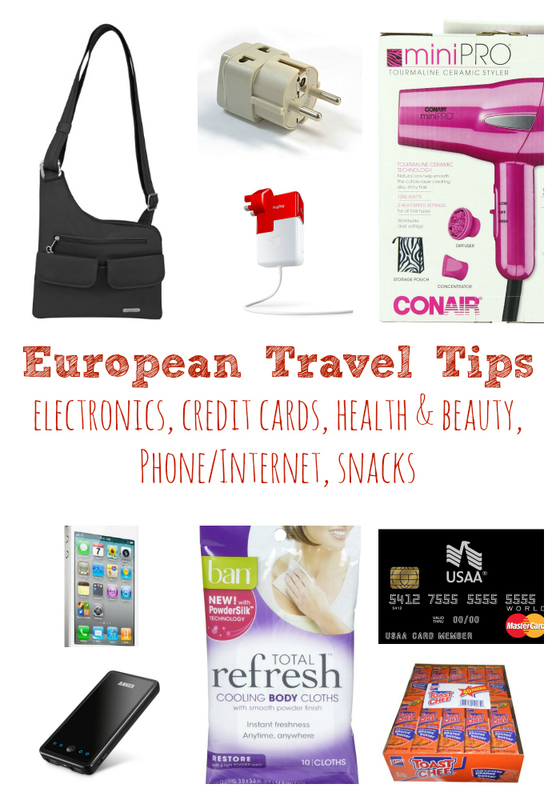 After looking at your Amsterdam and Sweden trip, I believe that is where we are headed in 2015. I plan on hitting each and every one of the restaurants/food stands you shared. Thank you so much!! I can't wait to see Amanda's post and next weeks pictures. Kristine - all meals were provided on the ship, but we did find some great places on the second half of the cruise. I am sharing those on Saturday. we also wanted more time in each place. 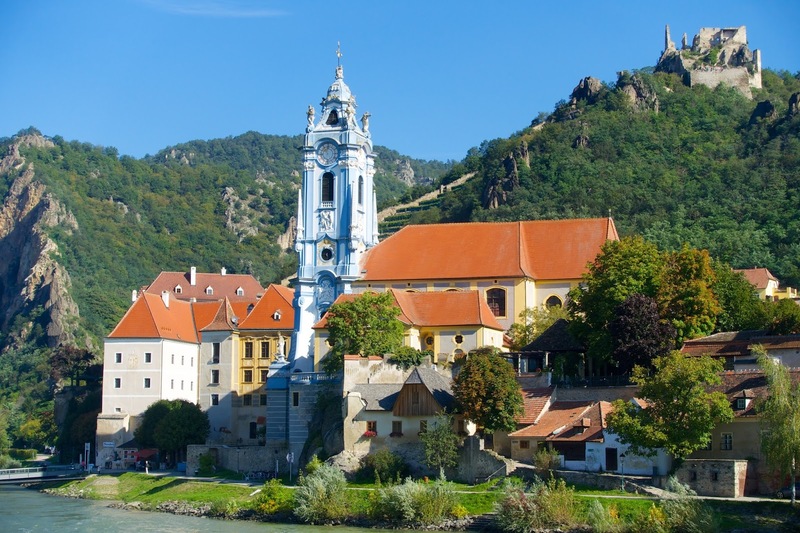 I think a river cruise is a great way to get a taste of places and figure out where you want to go back on your own. 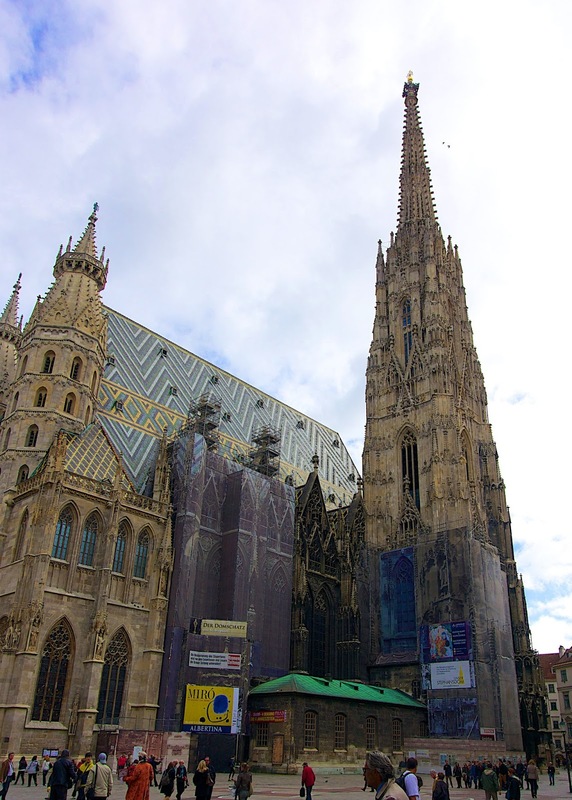 Oh gosh, that church in Austria... and the colorful buildings. LOVE! 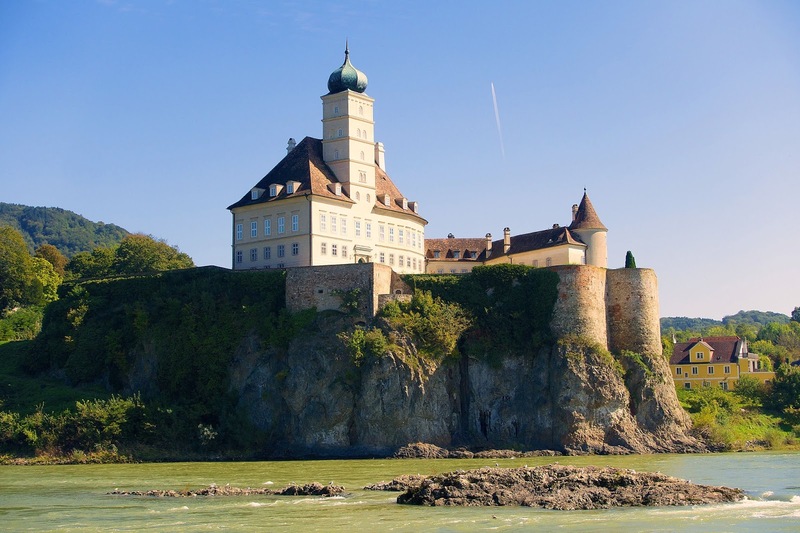 I think a river cruise is an excellent idea to be able to see so many beautiful sights! Your pictures are STUNNING! What a beautiful look at your trip. Thank you for sharing! 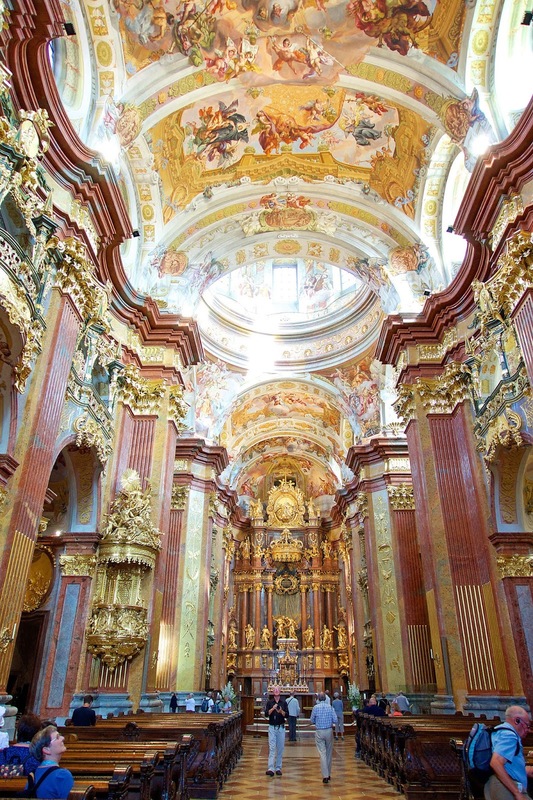 That church in Slovakia is stunning, it looks so fairy tale! 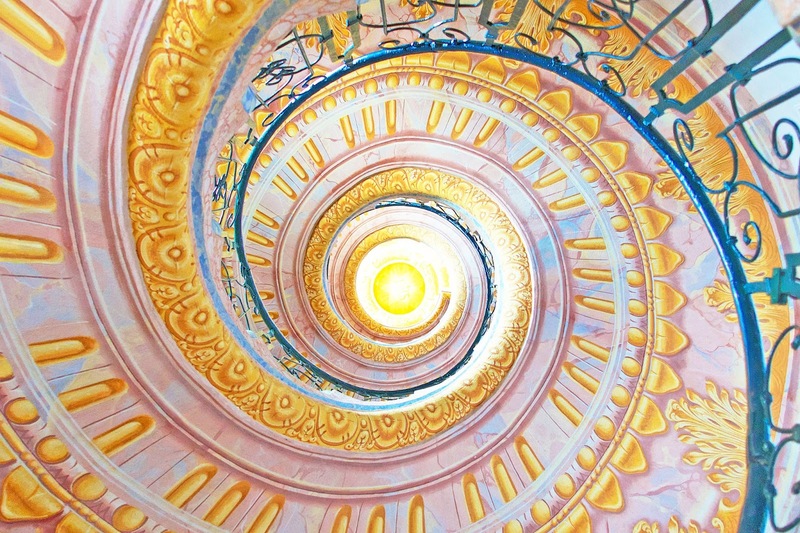 I also love the stairway in Austria - gorgeous! 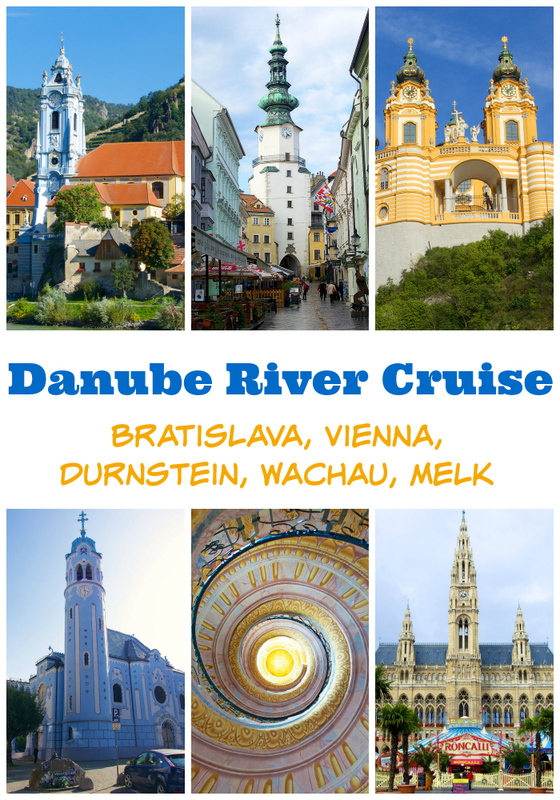 I have never been on a river cruise before and have been thinking about doing one!